Town of Mt. 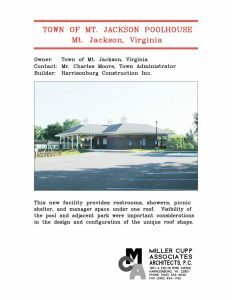 Jackson Poolhouse – Miller Cupp Associates, Architects, P.C. 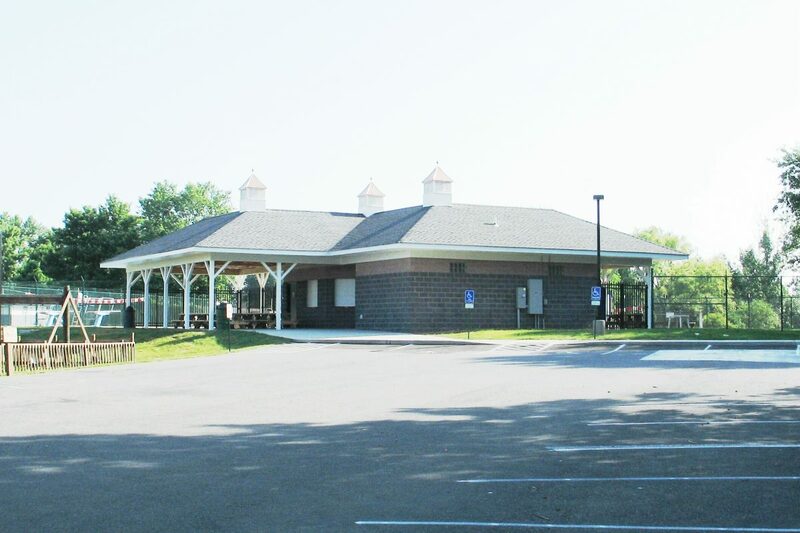 This new facility provides restrooms, showers, picnic shelter, and manager space under one roof. Visibility of the pool and adjacent park were important considerations in the design and configuration of the unique roof shape.